The Suffolk County Police Department has issued a Silver Alert for a Greenlawn man who suffers from dementia. Update - May 23, 2015 - The New York State Missing Vulnerable Adult Alert on behalf of the Suffolk County Police Department- Headquarters for Alfred Tobias is now cancelled as of 02:49 am on May 23, 2015. Huntington, NY - May 22, 2015 - The Suffolk County Police Department has issued a Silver Alert for a Greenlawn man who suffers from dementia. Alfred Tobias, 60, of 909 Paumanack Village Drive, was last seen at White Castle, located at 1900 Route 110, Huntington. Tobias left on foot. Tobias is described as a black, 5 feet 10 inches tall and approximately 170 pounds with salt and pepper colored hair. Tobias doesn’t have top teeth and he is missing bottom teeth. Tobias was wearing a black shirt, blue jeans and black boots. Detectives are asking anyone with information regarding Tobias’ whereabouts to call 911 or the Second Squad at 631-854-8252. As a reminder, Silver Alert is a program implemented in Suffolk County that allows local law enforcement to share information with media outlets about individuals with special needs who have gone missing. 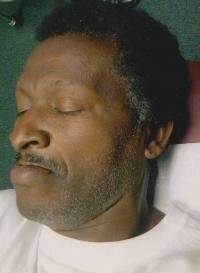 Subject: LongIsland.com - Your Name sent you Article details of "CANCELLED - Missing Person Alert Issued For Alfred Tobias of Greenlawn Who Has Dementia"